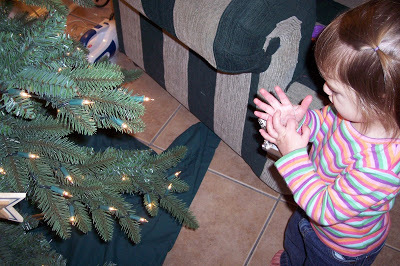 We put up the tree last night, and I was so excited that Cate put on a few ornaments herself! As you can see (in the top photo), she thought they were bracelets at first. 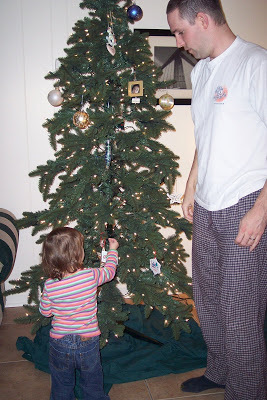 But then she realized that they could hang on the tree. Do these girls turn everything into jewelry? !